In short, it is a mobile repair service at your home or work. 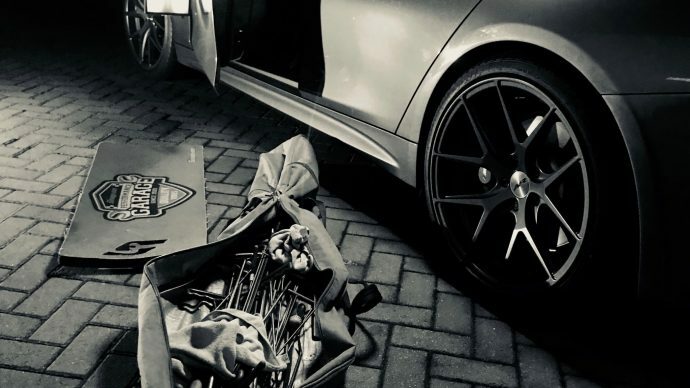 Paintless dent removal (PDR) is a technique used to repair dings, dents and creases etc by pushing and massaging the metal back into it’s original shape, leaving the paintwork intact. PDR is a highly skilled process in which minor parking dents are removed from your car’s panels without the costly and time consuming need for traditional body shop repairs. I have 2 sister sites too that offer mobile alloy wheel repair – fixarim and mobile car polishing – fixashine. Paintless dent repair (PDR) eliminates the need for panel beating and repsraying, and the high costs usually asociated with repairing these imperfections. By using this low cost method, you could potentially add 15% or more to your cars value. 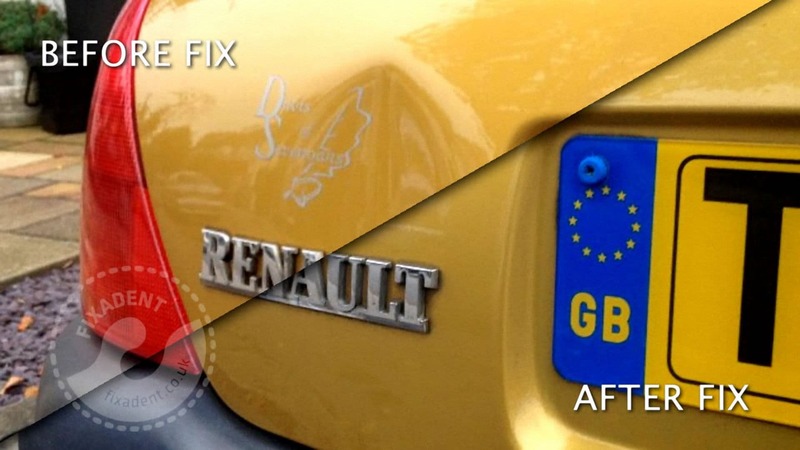 If you need paintwork doing then use our car paint repair service at fixascratch. See our gallery of paintless dent removal examples. The dent repair process involves the use of custom designed dent removal tools that are applied to the inside of the dented panel. Its a fully mobile car dent repair – car dent removal service. The use of dry ice and heat to remove dents is not a full and proven way to remove dents. To begin the repair process, we gain access to the inside of the dented panel. An illuminated Perspex panel is then used to highlight your dent. The dent is then massaged out using hand/eye co-ordination with our special paintless dent repair metal rods using leverage. In less than an hour, your dent become’s massaged out without any damage to the paint. We can repair dings and dents on any panel of any metal vehicle, as long as the paint has not been fractured or damaged prior to the repair, and there is access to the dent form behind.